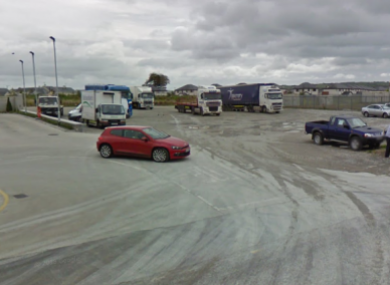 The man's body was found at a truck parking area at the Fermoy garage. TWO MEN ARRESTED as part of the investigation into the assault and death of a man at a service station in Fermoy, Co Cork, have been released without charge. The man, who is understood to have been from the area, was found just after 10pm on Tuesday night, when gardaí were called to an incident at a truck parking area of the garage. An altercation is believed to have broken out between four men in the area. TheJournal.ie understands an iron bar was found at the scene and gardaí suspect this was used during the incident. His body was taken to Cork University Hospital were a post mortem was due to take place. Another man, in his late 30s, was injured in the incident and taken to the same hospital, where his injuries were not believed to be life threatening. The men who were arrested – aged in their late 20s and early 40s – were held in Fermoy and Mallow garda stations. Gardaí in Fermoy are urging anyone who was in the vicinity of Pyke Road/Dublin Road between the hours of 8.30pm and 10.30pm on Tuesday night to contact the incident room on 025 – 82100, the Garda Confidential Line 1 800 666 111 or any Garda Station. Email “Fermoy service station killing: Two men released without charge”. Feedback on “Fermoy service station killing: Two men released without charge”.